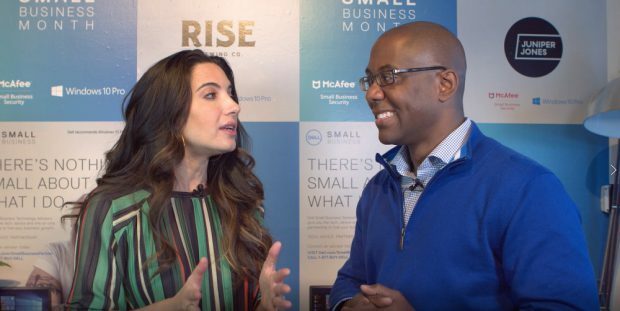 At "Dell in Brooklyn 2018", Ramon Ray, Editor of Smart Hustle Magazine joined Marie Forleo , philanthropist, entrepreneur and writer and other professionals to get their advice and tips on how to be productive. Watch the video and see the full list of interviewees and their tips below. Gina Noy, President – Noy Tax - Find the time of day you are most productive and use it to get the hard work done. Rachel Tipograph - Founder & CEO– Mik Mak - List priorities and breakdown by department or task. Reham Fagiri, CEO – AptDeco- Create a system of organization that works for you. Erik Day, VP Small Business – Dell - Take care of action items immediately when possible. Jon Akers, Founder - Kansas City Hatters - Have a goal and work toward it. Brittney Winbush, CEO - /Alexandra Winbush - Segment your to do list into time chunks. Basha Rubin, CEO & Founder – Priori Legal - Organize the following day before bed. Stacey Moeller - Tiny Acre Farms - Time block the day. Check email and pre-determined intervals. Find and commit to a single hour each day for business growth. Marie Forleo, Host – Marie TV - Before you wrap up the day take a few minutes to write down everything that is important that must be completed the following day.